We would like to take this opportunity to thank yourself and Gow Property for all your hard work and professionalism for managing the unit for the past 6 years. 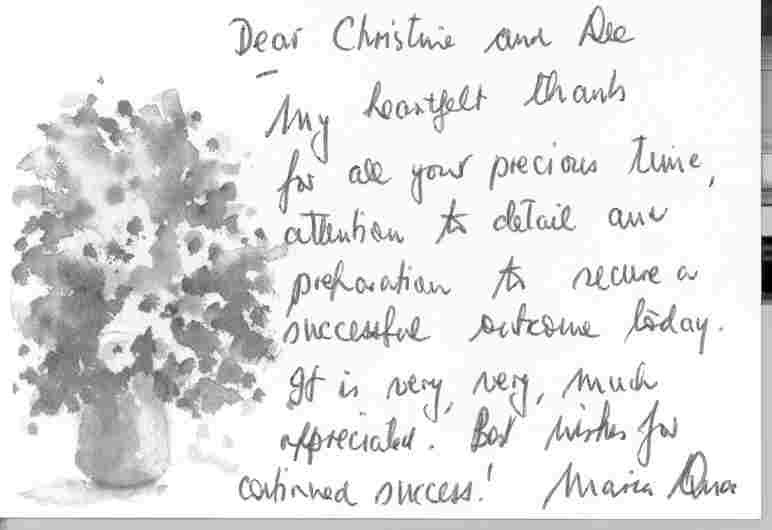 We would happily recommend your services for future clients. All completed. 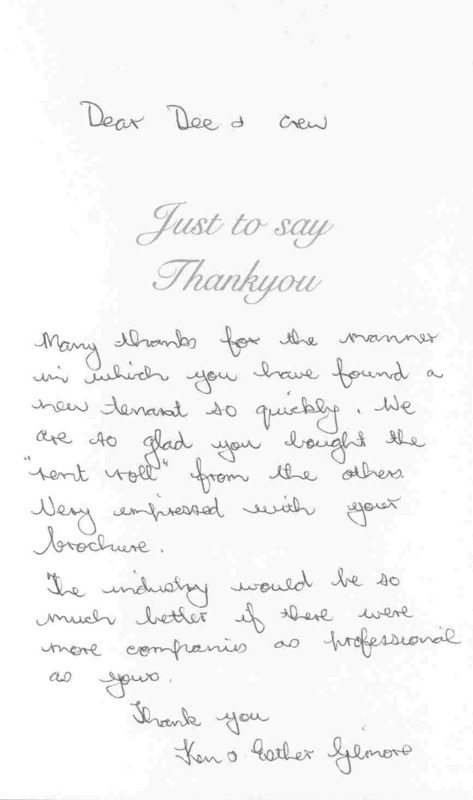 We really appreciate your property management – it is fantastic. Many thanks again. Thank you once again for getting it all done so quickly and efficiently. We can always count on you! I was renting at X XXXX Street Bentley where Tom Jones was a Property Manager. After 6 years renting different places with various real estate agents, your Property Managers are very effective, highly responsible and respond fast to our enquires. There is no trouble of long waiting date for rental home open since your Property Managers did directly call me and arrange viewing when I just drop a call and that is an advantage action for both owners and tenants like us. I highly recommend Gow Real Estate to our friends or anyone and if there is an opportunity, we will choose to deal with your business first. Thank you for your all assistance. Just know that we are very happy with having you as our property manager. Thank you for being so efficient and relaying to the tenants some garden objectives; we appreciate that the garden improvements will take time and we are not expecting a whole garden make-over, just for the place to look a bit more presentable especially from the front. If Will and Nicole need any help with fixing up the reticulation, (given that reticulation systems often need regular maintenance) then xxxx can lend a hand. We can also pass them on a free mulch pass that comes with the rates for the house. We could even buy them some natives to plant, if you sense that they are a little apprehensive for whatever reason. We want to be fair and not overwhelm them with this task. At the same time, we appreciate you making mention of the garden objectives in the new lease agreement. Many thanks for that kindness, it was quite unexpected. Some time ago I was recommending your office to everyone I know, now I will try even harder (some years ago I was telling the same people to never use property management at XXXX, now I will do the same for its sales admin). Hi Dee, I spoke to Craig this afternoon, and thanked him for arranging for an electrician to come out and take care of the exhaust fan. Just wanted to let you know that both XXXXX and myself appreciate the effort that Craig has put into it. He has always taken good care of anything that was needed. Unfortunately as you know you get to deal with some real underhanded characters. Thank you again for helping out, and you both are a credit to your profession.